While I am aware that looking for connections among ideas is a near pathological preoccupation for my type, I am nevertheless giving into the temptation to propose some interesting parallels between Harry Stack Sullivan’s theory of personality and the Enneagram theory of personality. Sullivan called his approach an interpersonal theory of psychiatry because he believed psychiatry is the study of what goes on between people. This is in contrast to Freud’s paradigm that focuses on what goes on inside people. Freud’s is a drive model while Sullivan’s is an interpersonal model. Freud postulated that the personality is made up of id, ego, and superego with the id being the source of the action. We are driven by inner instinctual urges, especially sexual and aggressive ones, and our prime motivation is to maximize pleasure while minimizing pain. We are pretty autonomous monads who cathect or connect to others who happen to meet our needs. Instincts appear first, then relationships develop because they satisfy our needs. For Sullivan, relationships are primary. Personality is a hypothetical entity that cannot be observed or studied apart from interpersonal situations wherein it is made manifest. The only way personality can be known is through the medium of interpersonal interactions. Therefore the unit of study is not the individual person, but the interpersonal situation. Since personality is defined by what it does in an interpersonal field, there is no I without a Thou, as Buber noted. 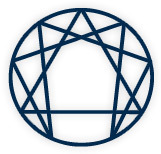 The Enneagram, among other things, is a system of interpersonal styles. It describes our interpersonal gambits and maneuvers. Each style provides a template or paradigm for thinking about ourselves, others, and the kinds of interactions we’re allowed to have with others. So our Enneagram styles, to varying degrees, set our interpersonal parameters by providing us with scripts for the roles we’re supposed to play. To get a sense for how this works for you, reflect on the following questions. What internal representation or image do you have of yourself and others? And what kinds of interactions do you allow yourself to have with others? How might you stretch your interpersonal boundaries? What don’t you allow yourself to do because of the constraints of your paradigm that you would be able to do if you followed the rules of some other paradigm? Sullivan proposed two sources of motivation: the pursuit of satisfactions and the pursuit of security. On the one hand, we seek to maximize the satisfaction of mainly biological bodily needs. The goal here is to reduce tension. This is similar to Freud’s homeostatic hunch that humans want to maximize pleasure and minimize displeasure, a theory that Sevens shouldn’t find much fault with. On the other hand, we desire to minimize insecurity that arises from cultural and social needs. In Sullivan’s model, the main motive force of personality is the avoidance and reduction of anxiety. We seek to avoid a greater anxiety by selecting a lesser anxiety. Where does this anxiety come from? According to Sullivan, it’s contagious. We pick it up from our caretakers – usually our mother. Infants are born with an empathic capacity to sense the attitudes and feelings of significant people around them, which leads them to experience two different states. Infants experience euphoria when they sense approval from others. A non-anxious persona is experienced as the good mother. And the good me is the one who evokes approval, tenderness, and less anxiety in the other. This is accompanied by a sense of security and relaxation. Infants experience dysphoria when they sense disapproval and derogation from others. An anxious persona is experienced as the bad mother. And the bad me is the one who evokes disapproval. This is accompanied by mounting anxiety. Sullivan describes one additional infant state, the non-me, which is felt as the unknown, the uncanny, the unintegrated because it is dreadful and repressed. This state is accompanied by intense anxiety such as nightmares and schizophrenic experiences. To avoid this much anxiety, we’ll just consider the good me and bad me states. Anxiety, then, is caught from our caretakers. It is an interpersonal phenomenon rooted in the expectation of derogation and rejection by others or by oneself. Anxiety, in turn, arouses the need for security. What are you anxious about thinking, feeling, or doing because you believe it will make others anxious? Or, what thoughts, feelings, and behaviors of yours might bring about derogation or rejection from others and so lead you to feel anxious? As a One you might be afraid your spontaneity, anger, or flaws make others anxious and will bring about criticism. As a Two you might be afraid your needs, desires, and personal agendas make others anxious and will bring about rejection. As a Three you might be afraid your lack of success and accomplishments disappoint others and make them anxious and will lead to rejection. As a Four you might be afraid your ordinariness, superficiality and deficiencies make others anxious and then they will abandon you. As a Five you might be afraid your ignorance or existence make others anxious and will bring about ridicule and disparagement. As a Six you might be afraid your own authority, decision making, and following your whims make others anxious and will lead to ostracism from the group. As a Seven you might be afraid your seriousness and sadness make others anxious and will lead to your being left out of the party. As an Eight you might be afraid your weakness, tenderness, and softness make others anxious and will lead to your being ignored or attacked. As a Nine you might be afraid your energy, agendas, and conflicts make others anxious and will lead to further neglect. I need to interject here that while Sullivan’s theory of personality and personality functioning is quite similar to the Enneagram’s dynamics, his terminology is the exact opposite! What Sullivan calls “personality” is what the Enneagram means by essence or real self; and what Sullivan calls “self” is what the Enneagram describes as ego or false personality. So I’m taking the liberty of altering his nomenclature. When Sullivan speaks of “personality”, I’m going to call this “self.” And when he speaks of “self,” I’m going to call this the “conditioned self,” which is similar to the Gurdjieffian and enneagramatic notion of ego or personality. And I’m going to continue using multi-syllabic words to sound erudite. In Sullivan’s theory, the self is the entire functioning of the person, our patterns of behavior and experience – the totality of who we are. This is similar to what Gurdjieff means by essence. The conditioned self is made up of reflected appraisals — who others take us to be and subsequently who we take ourselves to be. As children we come to appraise ourselves as we are appraised by others. This is reminiscent of Gurdjieff’s notion of personality. The conditioned-self system is a complex organization of experiences derived from interactions with significant others. It involves our strategies for avoiding anxiety and establishing security. It focuses on actions that lead to approval or disapproval. Conditioned-self dynamisms are created by anxiety and are systems of anxiety-diminishing behavior. Sullivan talks about security operations. These are the interpersonal maneuvers we use to terminate or diminish anxiety. They are behaviors by which the child avoids derogation and abandonment, assuring the child of approval and social security, which reduce anxiety. Security operations protect, maintain and enhance our self esteem. What thoughts, feelings, and behaviors do you engage in to reduce anxiety? Ones imagine themselves to be right, muster up anger to fuel their righteousness, and try to act to the best of their abilities to reduce anxiety. Twos imagine themselves to be loving and generous, feel proud of their sacrifices, and act helpful. Threes imagine themselves to be successful, feel confident, and act professional. Fours imagine themselves to be special, but feel sad so they won’t threaten others, and act dramatic. Fives imagine themselves to be wise, feel as little as possible, and act invisible. Sixes imagine themselves to be loyal and courageous, feel fearful, and act indecisive. Sevens imagine themselves to be fast and fun, feel excited, and act playful. Nines imagine themselves to be settled, feel calm, and act tomorrow. Security operations perpetuate the shape the conditioned-self took during early childhood and so perpetuate its isolation within the total self. Any experience that threatens the form and direction of the conditioned self will provoke anxiety. And anxiety is the means by which the conditioned self limits and restricts awareness thereby maintaining its own form and direction. The conditioned self, aided by anxiety, controls and circumscribes awareness through inhibiting learning anything new and different. The conditioned self thus becomes an inferior caricature of what it might have been. Through its security operations, the conditioned self has certain defense mechanisms at its service — such as selective inattention and dissociation. Anxiety distracts, confuses, and restricts awareness. (Angustia in Latin means narrow.) When we’re anxious, our thoughts, affects, and behaviors get narrowed. Selective attention or inattention restricts our acts and thoughts. It interferes with observation and analysis, with recall and foresight. In general it interferes with living and integration. The conditioned self sees what it wants to see and is blind to what it doesn’t want to see. Selective attention focuses our awareness on those actions that bring approval and win rewards and escape disapproval and punishment. What is kept from awareness are interpersonal processes or feelings which are anxiety arousing. Anxiety occurs when something happens which is not welcome to the self, not in harmony with earlier experiences of approval and disapproval. Selective attention steers us away from anxiety arousing events. Dissociation (what Freud called repression) denies the entrance of these events into consciousness all together. What areas of your life do you constrict or avoid? And how do you keep yourself from being aware of what you’re avoiding? As a One you might avoid your anger by turning it into resentment or projecting it onto an immoral, flawed world. As a Two you might avoid your own needs by repressing them and projecting them onto needy others. As a Three you might avoid failure by reframing it and/or projecting incompetence onto others. As a Four you might avoid being ordinary by exaggerating your extraordinariness and projecting poor taste onto others. As a Five you might avoid being empty and not knowing by constantly thinking and projecting ignorance onto others. As a Six you might avoid being unruly by being rule-bound and projecting deviance onto others; or you might avoid your fears by acting them out before you feel them. As a Seven you might avoid being sad or pained by only looking on the bright side and projecting gloom onto others. As an Eight you might avoid weakness by denying it and projecting wimpiness onto others. As a Nine, you might avoid conflict by burying it and spreading oil on troubled waters. In Sullivan’s system, mental disorder refers to interpersonal processes either inadequate to the situation or excessively complex because of illusory persons also integrated in the situation. Unresolved situations from the past color our perception of present situations and over-complicate action in them. This is Sullivan’s description of transference. We interpret our current relationships through the internal representations or schemas constructed from our earlier interactions. We overlay our past templates on our present scenarios. So we need to look at the lenses through which we perceive our interpersonal world (which the Enneagram helps us to do) and then interact more Zen-like with one real person at a time. Sullivan makes the point that, paradoxically, more security may ensue from abandoning a complex security-seeking process than was ever achieved by it. What current, not so effective, security-seeking interpersonal strategy might you give up? And what interpersonal process can you substitute for it that will be more effective? Alternate strategies might be found in the resourceful side of your own Enneagram style, your neighboring styles, your core and stress point styles, or any other style, to be completely democratic about it. For Sullivan, mental health can be measured by the balance between the pursuit of satisfactions and security. Life is lived between the needs for satisfaction and security. Satisfaction leads to constructive integrations with others and the joyful exercise of functions. Our ability to attain satisfactions according to socially approved patterns causes a feeling of well-being, self-approval, and security. If satisfactions are not fulfilled, then we feel anxious, insecure, and uneasy. Insecurity leads to non-constructive integrations and self-absorbed fantasy and illusion. (1953) The interpersonal theory of psychiatry. New York: W.W. Norton. (1954) The psychiatric interview. New York: W.W. Norton. (1956) Clinical studies in psychiatry. New York: W.W. Norton. (1962) Schizophrenia as a human process. New York: W.W. Norton. (1964) The fusion of psychiatry and social sciences. New York: W.W. Norton. (1972) Personal psychopathology. New York: W.W. Norton.